This module will teach you the nuts and bolts of writing an effective article, whether it will be published in a newsletter, on a website or in a media kit. In the next module, we’ll narrow our focus to writing for the web. But first…did you know that bad writing kills? It’s true. Many scholars believe that poorly written memos were partially responsible for the 1986 Challenger disaster, and that unclear writing has led to several dangerous automotive defects. While your writing will likely never turn deadly, poor communication can be costly to your organization. An unclear article about a program or league might lead to a decrease in registration. News outlets might not read a news release if they can’t easily find the hook. You might not get a grant if you can’t communicate your organization’s purpose in an effective manner. That’s why plain language is important. According to communications scholar Richard Wydick, plain language is “clear, concise and correct” communication. It avoids jargon and delivers its message simply but effectively so that the reader gets the message as quickly as possible. Above all, however, plain language is about meeting your readers’ needs, so you need to identify what you know about them. How much detail do they want? Are they busy or will they be browsing your article for pleasure? How much knowledge do they have about your sport and/or your subject matter? Use headings, short sections and short sentences to make your writing easy to digest. Edit each sentence to get rid of excess words. 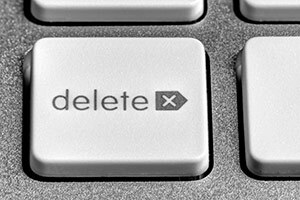 Sometimes it helps to set a goal of cutting 25 or 50 words or staying under a certain word count. Get rid of jargon. In some sports this is unavoidable, so if you must use jargon try to convey its meaning through the context. Use bullet points to highlight information. Get rid of sports clichés. Try reading your piece out loud. If you stumble over a sentence or find yourself out of breath at the end of a paragraph, some editing is likely needed. Every journalism student quickly learns the difference between hard news and soft news. Hard news is factual and relies on timeliness. Its purpose is to inform the reader. Soft news, however, does not need to be timely. Its purpose is to entertain the reader or give advice. For example, an article about the Chesterville Cheetahs winning the high school championships would be a hard news story. A profile about the Chesterville Cheetahs’ star player, whose mother and grandmother also won the same title, would be a soft news story. Hard news is read quickly, so the most important facts must come first. 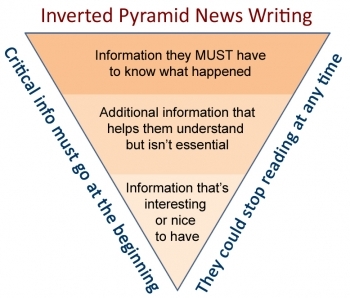 In journalism school, they call this the “inverted pyramid”. The first paragraph contains the most important information (who, what, where, when, why, how) and the following paragraphs add an increasing level of detail. The reader could read just the first paragraph and come away with a good idea of what happened. The lede, or first sentence, is the most crucial part of the article. Your lede should concisely tell the reader who, what, where, when, why and how. For example, “The Chesterville Cheetahs beat the Brownville Bruins 54-52 to win the 2015 Bob Smith Memorial Basketball Championship yesterday.” Your lede should feel complete but not crowded, so it’s okay to split your lede into two sentences to ensure that it flows nicely. If your lede is effective, writing the rest of the article will come easily. Keep building details and background information, including quotes, until you have succinctly summarized the event. Make sure to keep your paragraphs short for maximum readability. In the soft news article, you are not bound by the traditional rules of journalism. While a hard news story is meant to be read quickly, a soft news story is in no such hurry. 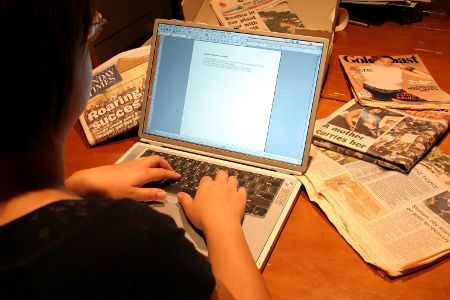 Many sports writers use the form to step back and examine a trend or a larger issue within the sport or delve deep into an interesting person’s life. When done well, soft news articles can inspire, motivate and teach. Soft stories are usually longer and sometimes even use techniques found in fiction. 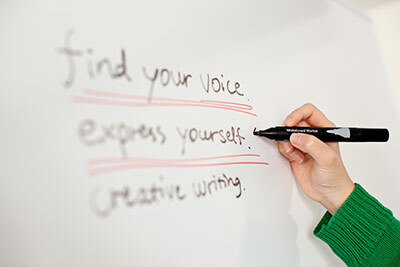 If creative writing isn’t one of your skills, however, don’t worry. In the sports world, a soft news piece could be a simple interview with an athlete, an opinion piece about a rule change, or a how-to article on how to select the best piece of equipment. It could even be a Buzzfeed-style list. Often, the success of the soft news article rests on how interesting your “characters” are, so a good story starts with a good interview. For tips on how to conduct an interview, read our toolkit module on sports interviews. For an example of a good use of quotes, check out this article on wheelchair rugby’s Zak Madell by Vancouver Sun journalist Gary Kingston. He uses Madell and his mother’s own words to tell the story, but shapes the narrative with his personal insights. Identify the “so what” of the piece. Why is this person or topic interesting to the reader? Make sure to do your research. The more you know about the subject, the richer the story will be. Soft news is a great way to get out your organization’s key messages. Does an athlete, coach or volunteer have a story that illustrates the good work your organization is doing? Read newspapers and magazines to find examples of great soft news writing. While it’s okay to use some stylistic flourishes in certain types of soft news articles, make sure to use good plain language techniques. If you’re having trouble finding a structure for your article, try pretending that you are telling it to a friend. As with a hard news article, remember to consider your audience. If your audience includes people outside of your community, consider how much these readers might know about your sport. By following a few simple writing techniques, you can write articles that will engage your audience and deliver your organization’s message more effectively. In the next module, we’ll build on the skills we’ve learned and apply them to writing for the web. Do you have a question about writing articles? Do you have a best practice we didn’t mention? Get in the conversation by emailing info@viasport.ca or tweeting @ViaSportBC.